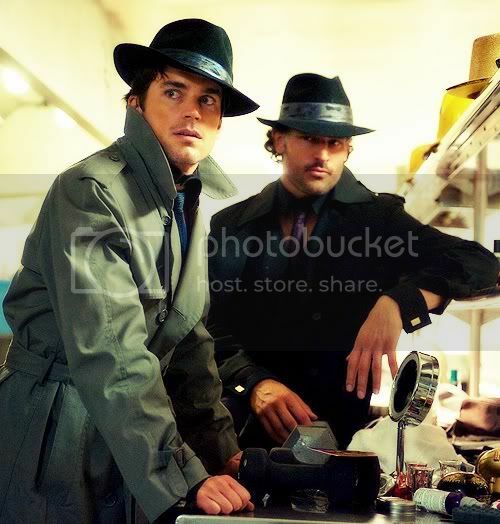 Art for whitecollar_bb: "Remain Faithful"
You know that excitement when you read a book that's so well written you don't want it to end? That's the way I felt devouring auburnnothenna's fanfic Remain Faithful. Compelling writing style, vivid imagery and great pace - it just flows. And the story is cleverly crafted, too, with just about every canon character - minor and major - making an appearance. It's a new spin on the story we know, changed around, enriched, and molded. So, go read. Don't walk, run! art for whitecollar_bb: "500 Miles"
Art for whitecollar_bb: "These Poisoned Waters"
Last minute art for winterstar95's great fanfic These Poisoned Waters for this year's round at whitecollar_bb. And if you haven't already, go read winterstar95's big bang over here. At this point, I don't even care if Magic Mike's having any kind of plot or not. 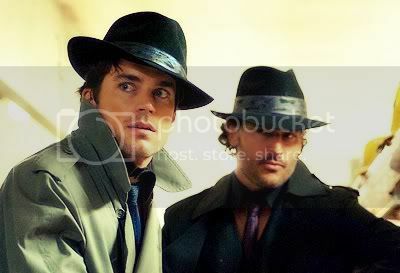 All it takes is Matt and Joe in fedoras. Other clothing optional. I wish that movie were in 3D, though. Shush, you were thinking it too. Hot damn. If that new season 4 promo is anything to go by, they're really upping the ante this season. All in. I wouldn't bet against them. FIVE MORE WEEKS. FIVE MORE WEEKS. FIVE MORE WEEKS. TORTURE. So how about a fic rec to make those five weeks a little more bearable? Hiking through the woods and sleeping under the stars meant you’d really screwed up this time, and you had to get out of town yesterday with your face plastered on wanted posters all over every bus and train station in the area. Carefully constructed post season 3 fanfic concentrating on Neal's inner struggle - with his past, with his trust issues, with moving on, with friendship - after his return from fleeing at the end of Judgement Day. Gorgeous writing, just the right amount of manly angst, loads of canon references and very true, tangible character portrayal all wrapped up in a satisfying end. Go read. Run, don't walk. Look ma, it's 21st-century Leo and Kate. The dollars for the DVD sets certainly paid off with bonus material like that. Right along with the numerous times the cast breaks into a song or medley during an episode commentary. 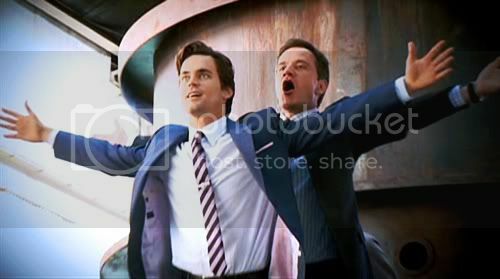 And yes, White Collar's eaten my brain lately. That is all.